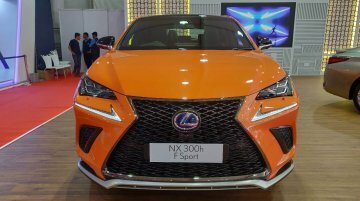 The Lexus NX 300h has been showcased at the Autocar Performance Show 2018 in Mumbai. 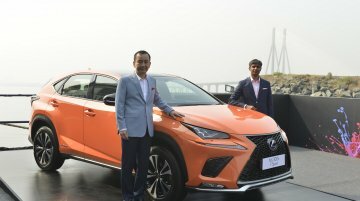 The smallest SUV in Lexus India's lineup has been on sale in a price bracket of INR 53.18 - 57.18 Lakh.. 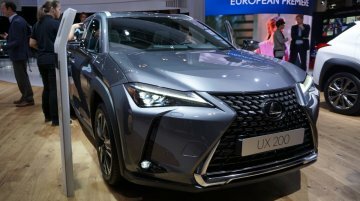 The 2019 Lexus UX made its European debut at the Paris Motor Show this month. The new model will launch in the old continent next year. Toyota and Lexus have readied new special editions of their J200, images posted by Instagram user hamad1two3 expose. The Toyota’s version is called the Land Cruiser Grand Touring, while at Lexus,.. 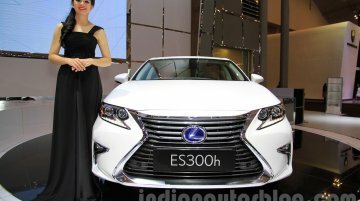 The seventh-generation Lexus ES has been introduced in India. The Lexus ES 300h midsize sedan, available for booking since 19 July 2018, is priced at INR 59,13,000 ex-showroom India. 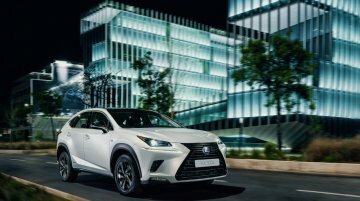 The new..
Lexus has launched the new Lexus NX Sport in Europe. The Sport edition was originally introduced before the mid-cycle refresh last year, in September 2016. The new Lexus NX Sport is available in.. 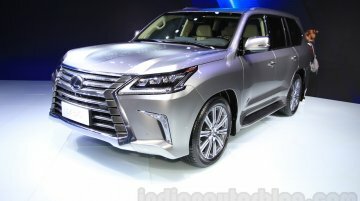 Launched last year, the Lexus LX was available in India in only in the LX 450d diesel engine guise until now. 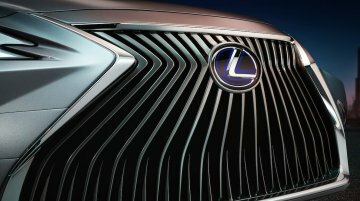 Lexus has now launched the the LX 570 petrol engine model too for a price of INR 2.3 crore..
Update: Lexus has released the first teaser, revealing the all-new Lexus ES' spindle grille. 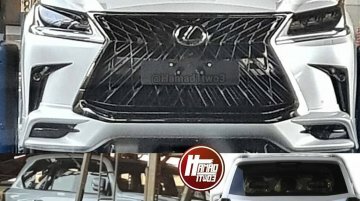 The next-gen Lexus ES’s front-end has leaked online in an image posted on Almuraba. 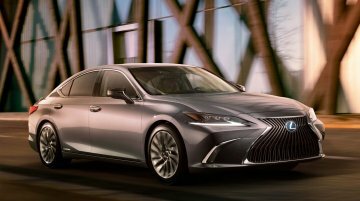 The all-new..
After the Lexus LS, Lexus is working the renewal of the Lexus ES. 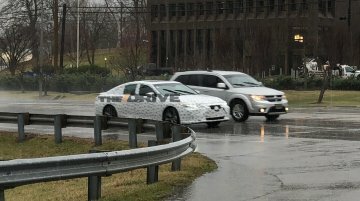 The next-gen Lexus ES was recently spied testing in Kentucky, USA, courtesy The Drive. 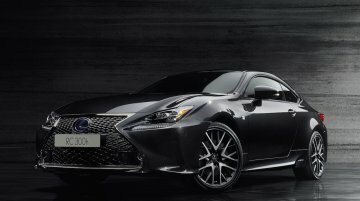 Along with the Lexus UX, Lexus will introduce the Lexus RC 300 h F Sport Black Edition at the 2018 Geneva Motor Show. 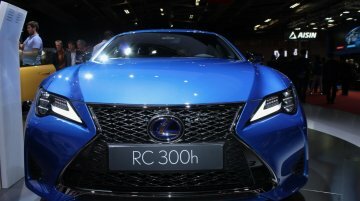 The special edition model of the Lexus RC features exclusive exterior and interior..
After years of delay, Toyota’s luxury brand Lexus finally entered India last year. 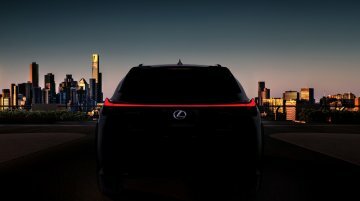 Lexus may say that it chooses to remain niche, but the fact remains that the company is unable to compete well with E..
Lexus has announced the first-ever Lexus UX SUV today. The company’s new entry-level SUV will have its world premiere at the 2018 Geneva Motor Show in March. 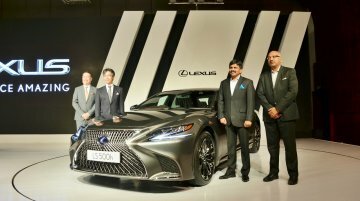 It is the production version of the Lexus..
Lexus has launched its flagship LS500h sedan in India. Bookings for the sedan have opened and deliveries will commence April 2018 onwards. 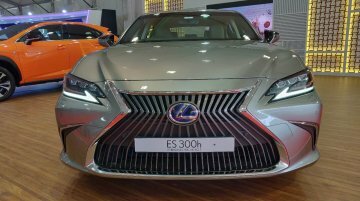 The Lexus LS500h is priced from INR 1,77,21,000 9ex-showroom..
Lexus unveiled the Lexus NX in India last month. Today, it has announced that the compact SUV’s prices will start at INR 53.18 lakh (ex-showroom India). 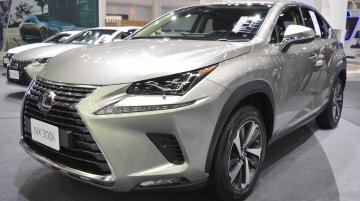 Lexus is displaying the 2018 Lexus NX 300h at the 2017 Thai Motor Expo. 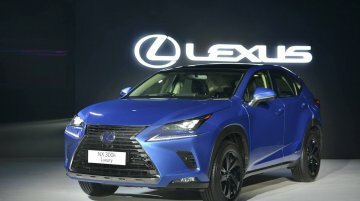 Lexus introduced the facelifted Lexus NX in Thailand on 31 October, 2017. 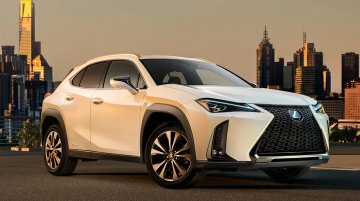 The 2018 Lexus NX 300h seen in the image above..